Despite being young, these guys have been gathering experience in the industry for over five years, playing all across Europe, Asia and the Americas, and releasing music on the best record labels out there during these early career years. Now, they are ready to take things to the next level. Redondo stand for just about everything in between house and techno; all we can say is: just listen and hear for yourself. From day one, Redondo have received massive backing from Sander Kleinenberg (Little Mountain/This Is). 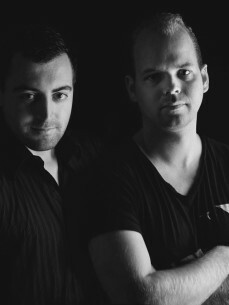 Their distinctive beats have gained huge support from a wide scope of top jocks since, from Mark Knight, Roger Sanchez and Fedde Le Grand to Laurent Garnier, Richie Hawtin and Dubfire.